For those of you who have dived with any of our Scuba Junkie locations you will know that conserving and protecting the marine world is something that sits very high on our priority list. We have our own conservation arm: Scuba Junkie SEAS, who work on a whole range of projects, but we also work with some other fantastic organisations. 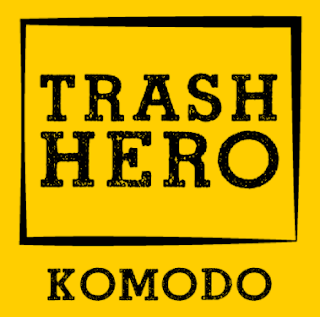 Two of the organisations that we work with closely here in Komodo are the Marine Megafauna Foundation and Trash Hero. So who are these lovely people and what do they do? The Marine Megafauna Foundation was founded by Dr. Andrea Marshall (the first person to ever do their PHD on manta rays) and Dr. Simon Pierce (the world's leading expert on whale sharks). They are passionate individuals who have inspired and assisted many other people in their research of megafauna. The MMF began in Mozambique - which amazingly is one of the few places in the world where you can regularly see Manta Alfredi and Manta Birostris, allowing Dr. Marshall to specify the two species. Research is a large part of what they do - studying manta rays, whale sharks and more. The work they do assists with the development and strengthening of marine protected area. However, it doesn't stop there. They also aim to broaden the education of coastal communities and raise public awareness of conservation issues. Over the last few years the organisation has grown to have several research stations across the globe. 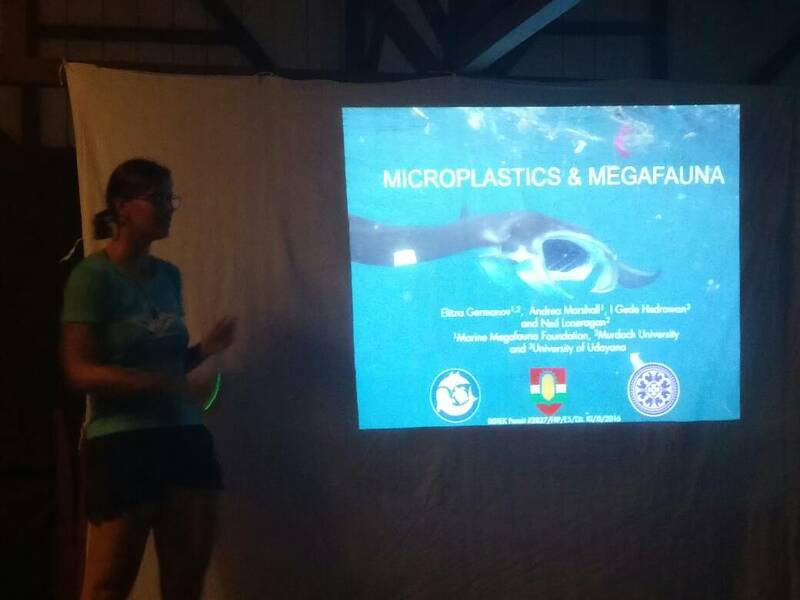 For example, in Nusa Lembongan Elitza Germanov is conducting research on Megafauna and Microplastics. Throughout the year we host researchers from the MMF. 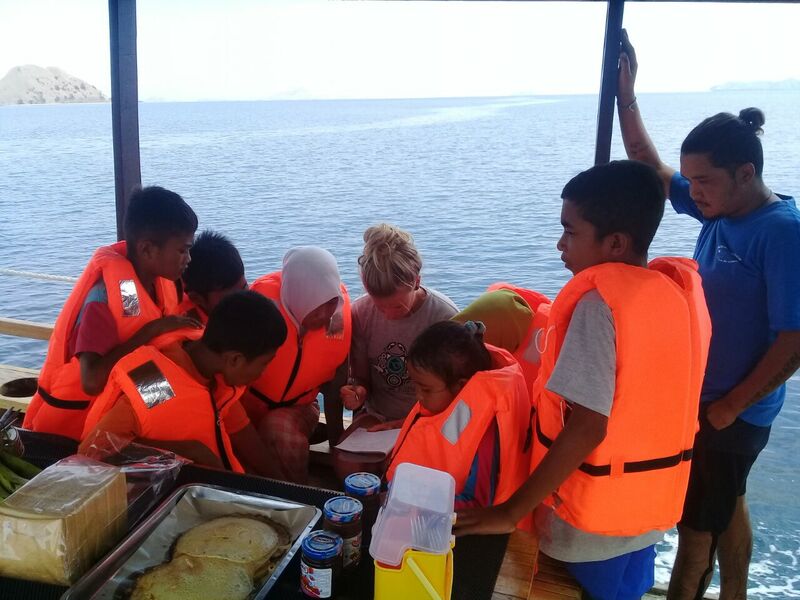 They follow on our boats and this allows them to collect ID shots of manta rays in the Komodo National Park. On the belly of a manta they have a spot pattern that is individual to each manta. These ID shots provide essential information on the movements of manta rays. It is through this research that is has been revealed that Manta Alfredi (reef mantas) have much larger ranges than originally thought. It was believed that Manta Alfredi stuck to very small home ranges. It has now been shown that mantas will travel the huge distance from Nusa Penida to Nusa Lembongan (over 450km), and back again. Not only do they monitor manta rays, but they also gather information on sharks, turtles, water temperatures and other diving conditions which can in turn be used to specifically assess environmental impacts. If you have a camera be sure to get an ID shot that can be sent to mantamatcha.org, this is a huge help to their research and means you will be assisting with manta ray research and conservation! You can support the Marine Megafauna Foundation by adopting a manta ray, a whale shark, or just by making a small donation. Any of this will assist with their important work. Trash hero has many chapters through out South East Asia. 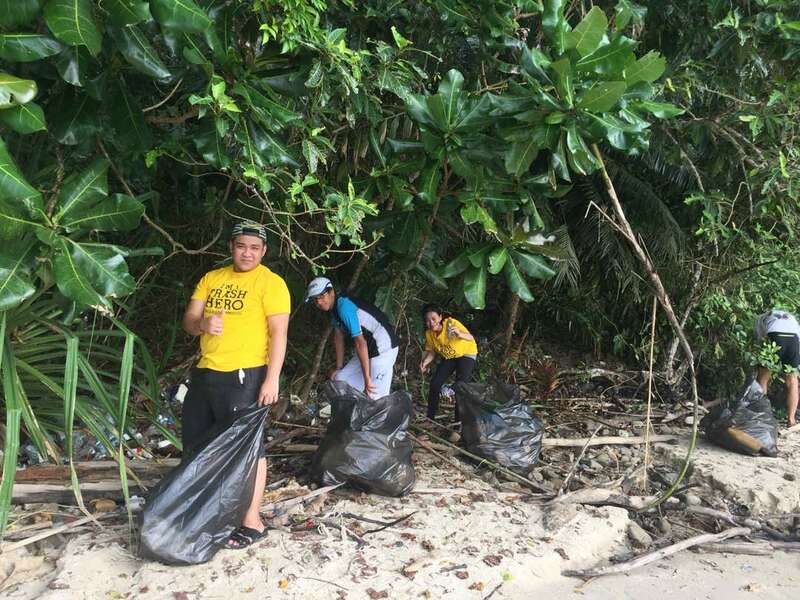 This organisation isn’t just about organising beach cleans, but also working to educate and empower communities to reduce their own waste. 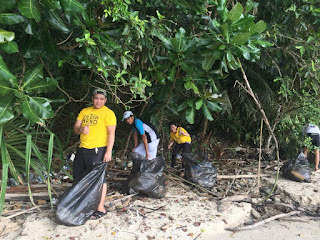 We organise weekly beach cleans, making sure to separate recycling from trash. 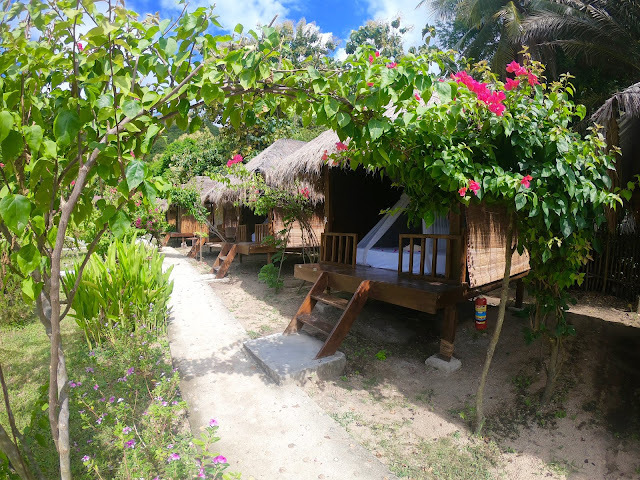 After each beach clean we invite all participants from the community to the resort to play games, learn English and look at reasons why reducing plastic is so very important. They also work hard on REDUCING plastic use. They have a reusable bottle and bag programmes (the bottles can be bought here at the resort). Supporters of the programme will refill a Trash Hero water bottle for free! Supporting businesses also sell reusable bags that will reduce the amount of plastic people will use. As important as recycling is, we must work hard to reduce the amount of plastic we use on a daily basis. Small changes - such as a reusable bottles / bag, will have a hugely positive impact on the environment. Waste management programmes are also something that Trash Hero focuses on. Many countries are blessed with efficient and effective waste removal, but this is not the case across the globe. Unfortunately there are many countries that struggle with removing waste produced - meaning it is often discarded in the ocean or burned.